The heart is desperately sick; who can understand it? 1. As you study Jeremiah 17:5-10, what do you know about the author? Son of a Levitical priest, Jeremiah ben-Hilkiah was a priest who was from Anathoth, a city 6 miles northeast of Jerusalem (Jeremiah 1:1). His ministry was extensive covering about 45 years (626 BC – 586 BC) and witnessed the crumbling of the Assyrian Empire and the rise of the Chaldean Babylonians. Jeremiah’s ministry had two purposes: 1) calling Jews to repent and return to faith in the God of Israel, and 2) bringing God’s message of judgment in accordance to the Mosaic Covenant. In contrast to other inspired authors, much is known about the life and personality of Jeremiah, because of the autobiographical nature of the book. He spent his life alone without a wife as God requested (Jer 16:1-2), but had at least one faithful companion, Baruch, who served as his scribe and spokesman. 2. What is the political and spiritual state of Judah at this time? 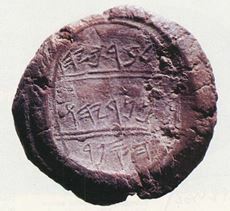 At the time of writing Jeremiah 17, Jehoiakim ruled over Judah. In contrast to his father King Josiah, Jehoiakim "did evil in the sight of the LORD his God" and promoted idolatry. With his wicked rule, he had incestuous relations with his mother, stepmother, and daughter-in-law. He committed atrocious crimes by murdering many, violating their wives, and seizing their property. Jehoiakim came to rule when Egyptian Pharaoh Neco II dethroned his brother Jehoahaz who had ascended the throne when their father King Josiah died in battle with the Egyptians. Judah served as tributary to Egypt for 4 years until the Babylonians, led by Nebuchadnezzer, rose to power and became the new overlords of Judah. 3. Examine Jeremiah 17:5-8. Study of the term "cursed" and contrast the imagery of the two ways man can approach life. Who is God speaking to? The term "cursed" is to afflict or evoke harm or misfortune on someone. In the Ancient Near East, to curse someone not only wished harm or misfortune but was believed to invoke the power of fulfilling that curse. The Bible has 3 occasions where God curses and in each case, His curses were not mere statements or wishes (Gen 3:14-15, 17; Matt 21:19; Mark 11:14). In Jeremiah 17:5-6, God reveals one of the two perspectives that man can choose to live by and His judgment of those choices. Those who believe that life can be self determined, independent of God, by the wisdom and efforts of man are cursed and not blessed by God. The imagery of such a man is a barren and stunted plant growing in an area of limited resources essential for life yet barely sustainable. In Jeremiah 17:7-8, God reveals the other perspective of man: one who chooses to live by by faith and trust in the Lord. Such a man is blessed by God and portrayed as a towering tree that has access to abundant resources for personal growth, strength, and productivity. God is speaking to the nation of Israel who is recipient of His divine covenants; thus, the term "curse" and its antonym, bless, would have special significance to the Hebrews. 4. Another Bible study method is to read various Bible translations for additional insights. Try reading Jeremiah 17:9 using various translations; what do you see? In contrast to the contemporary definition of "heart," the biblical use of the term refers to the mind, the source of thinking, emotion, and action. Thus, the biblical term "heart" is a reflection of one’s character. All of the translations clearly describe the heart as deceitful where there are active and intentional efforts to deceive oneself and others and obscure the true sinful state of man’s nature. From this biblical perspective, it begs the question, "is man truly good?" In addition to its deceitful nature, various translations describe the heart as "exceedingly corrupt (Gen 6:11-12 and Ex 32:7), desperately sick, desperately wicked, and beyond cure." All of which refers to man’s depth of moral depravity. And the question, "who can understand it?" emphasizes the deceitful nature of man’s character. Jeremiah 17:9 sums up the principle cause that differentiates these two types of man. One who does not acknowledge his sinful nature, succumbs to his deceptive perception of pride, self-sufficiency, and adequacy, and lives independent of God; and the other who acknowledges his sinful nature, has no delusion about the power of sin, and lives with humility and dependence on God. 5. What does Jeremiah 17:10 mean? While we can be deceived by our own self-delusion; God knows our deepest and innermost thoughts and motives. Thus God can truly render to each what his deeds justly deserve (Gal 6:8 and 2 Pet 1:4). transform our heart to make any meaningful and lasting changes in thought, motive, and behavior. The book of Jeremiah can be difficult to understand. Jeremiah’s prophecies are not written in a chronological manner; thus, it is difficult to assess Jeremiah’s response to the historical events of the time. It appears that his prophecies were compiled in stages and arranged in a general and logical order: God’s judgment of Judah - chapters 2-45 and God’s judgment of Gentile nations – chapters 46-51. Despite his proclamations of judgment, Jeremiah, a fervent patriot, expressed great sorrow when divine judgment was just about to befall Jerusalem, and tradition called him the "weeping prophet." Judging from the roughly 40 direct quotations found in the New Testament, it appears that Jeremiah made a big impression on subsequent inspired writers of the Bible. Take a look at this Old Testament book and its relevance to the New Testament!